If you already have sail numbers on your sails and want the same number please choose your number below. If you are choosing a new sail number and the number is registered in your AMYA region you will be assigned a number with a 1 to 7 in front of your chosen number. You will sail with your two digit number. Only if you are sailng in a regatta where the original number is sailing you may have to mark your sail to so the race committee can tell the boats apart. Sail Numbers come in vinyl and insignia cloth. The vinyl comes with both numbers on one sheet for easy application. Insignia cloth numbers are sold as seperate numbers, and are a little difficult to apply. Find your boat bag with your sail number applied. 6 inch white insignia cloth sail numer on your boat bag will make it easy to recognize your boat bag at a regatta. 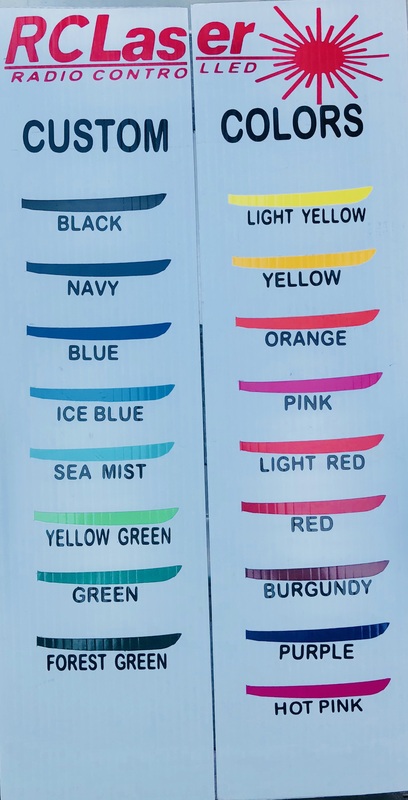 Colored boat sides are made of high quality outdoor sign vinyl and comes in sixteen different colors. Sails number come with both numbers on a sheet for easy application. Boat sides are contoured cup for eaiser application.